The Scottish Farmer front page exclusive last week (April 5th 2008 ). In moderate and neutral language their correspondent reveals how “many newly born lambs have been viciously attacked and pecked to death” by Ravens, and also a “growing number of ewes… have had their eyes or insides torn to shreds by the sharp beak and talons of this aggressive bird“. “The RSPB claims the Raven is mainly a scavenger, but it now appears to have developed a taste for ‘live prey’“. 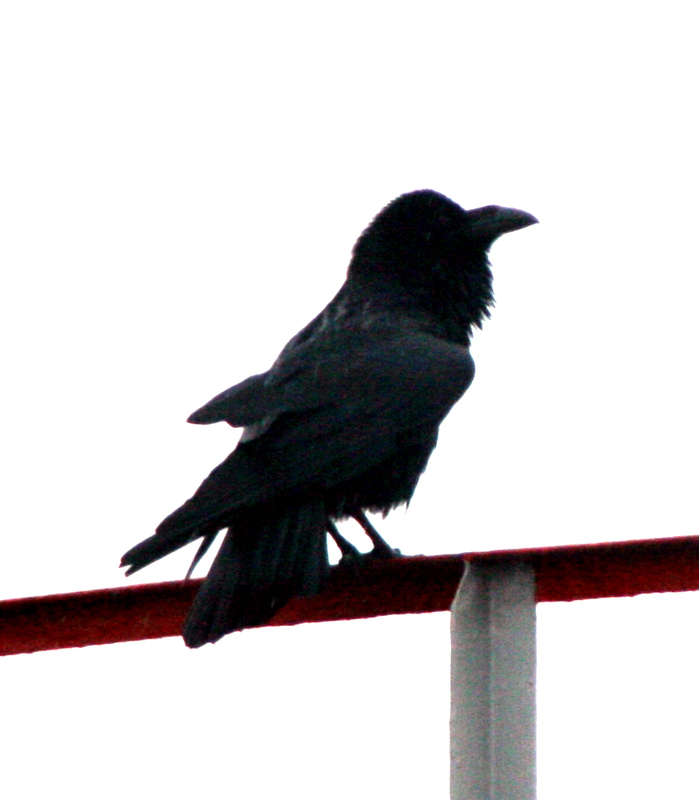 “There is no need for Ravens to be protected. Raven populations have increased 1000% over the past 10 years and it’s an absolute nonsense that we can’t control them. Buzzards are much the same. By sheer coincidence, Songbird Survival (“Who are we? Ornithologists. Conservationists. Lovers of the countryside. Gardeners and farmers. Concerned RSPB members. Town and country people throughout Great Britain who are deeply concerned about the effects of increasing predation on songbird populations.”) and the Scottish Gamekeepers Association (“a non-profit making association of Scottish gamekeepers that is run by the gamekeepers themselves.”) both appear to believe that raptors (and corvids) are a significant cause of declining bird populations; that their ‘control’ is necessary to stem these declines; that gamekeepers are the ideal agents to deliver on this proposed management regime; and that the otherwise respected environmental bodies (RSPB, SNH etc) have got it plain wrong at the moment with their protectionist policies. I’m a little puzzled that Songbird Survival and the Scottish Gamekeepers Association have such similar views, given how disparate their memberships appear to be. On the one hand, gamekeepers – an integral part of the shooting and fieldsports industry. And on the other hand, a group of ornithologists, conservationists, gardeners and concerned RSPB members, an organisation that states it has “no interest in hunting, shooting or fishing“. (http://www.songbird-survival.org.uk/the-way-forward/).